Don’t you love a multi-tasking palette? I do! First, since all the powders are in one palette, it saves you from having to purchase a lot of individual powders. Therefore, it is easier to travel with one palette. Especially when the six products in that palette are able to carry out four different tasks , instead of purchasing six products that each do one thing! Plus, you have to take six things with you, when it’s easier to take one. Don’t you agree? 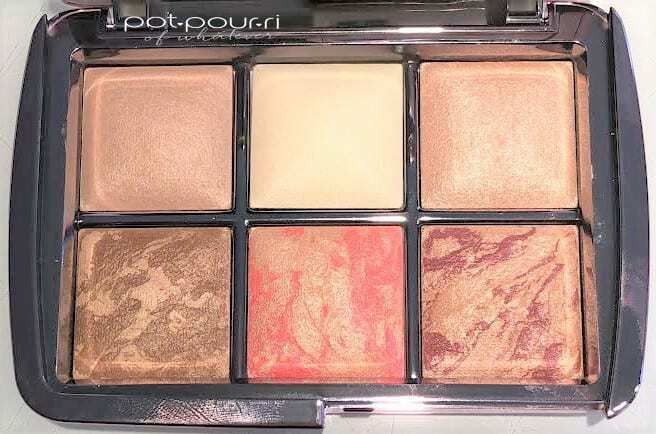 The new holiday Limited Edition Hourglass Ambient Lighting Edit Volume 4 is that multi-tasking 4 in 1 palette. 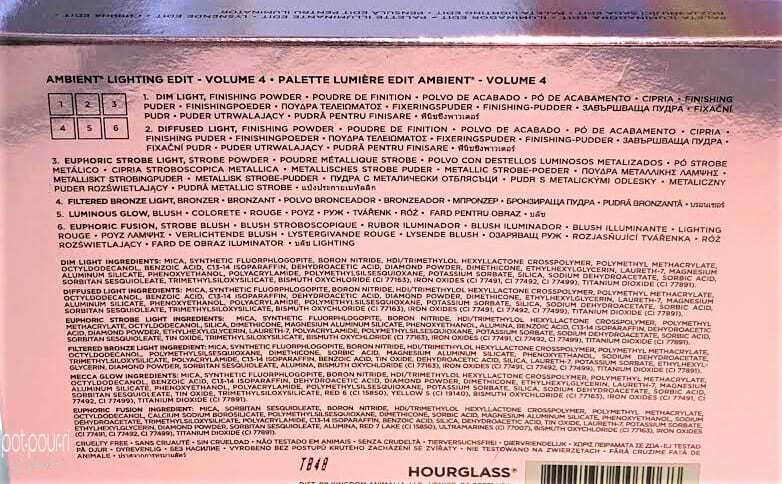 Furthermore, it picks up where last year’s Hourglass Ambient Lighting Edit Volume 3 left off. Moreover, the palette includes four of Hourglass’ best selling shades, and two exclusive new shades. In addition, the high-tech finishing powders in the new volume 4 edit create a soft focus effect that will flatter your complexion in any lighting. Besides, the best part is it minimizes wrinkles, blemishes and discoloration. You can find the New Hourglass Ambient Lighting Edit Volume 4 at Beautylish, Sephora and on the Hourglass Website. The palette retails for $80. 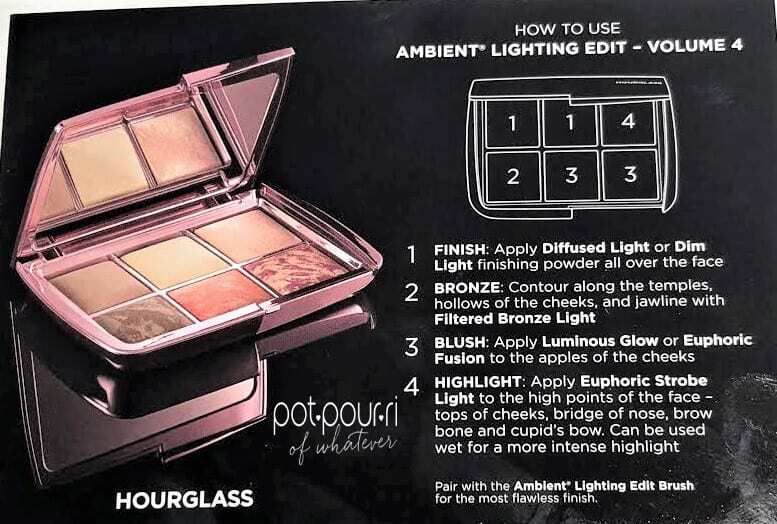 The new Ambient Lighting Edit Volume 4 packaging comes in limited edition sleek packaging. Furthermore the box and the compact are in metallic pink, . On the other hand, it is different from last years palette, which was in a rose gold palette. 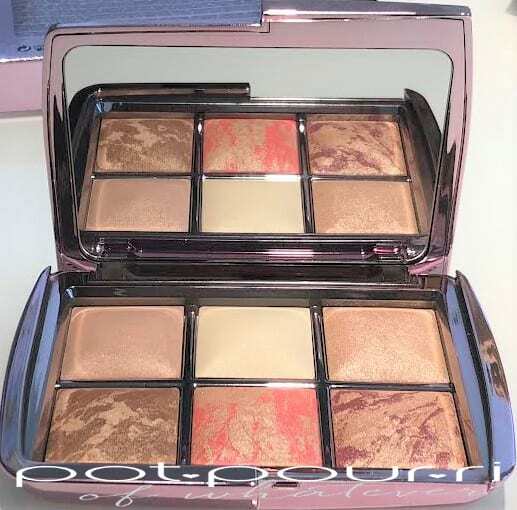 Furthermore, once opened, the palette has a nice sized vanity mirror on one side, and six powders on the other. It doesn’t come with a brush to apply the powders with. 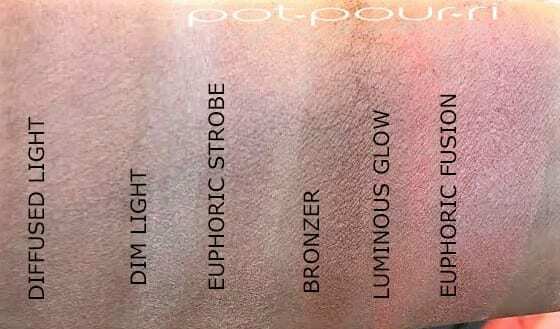 The six Hourglass powders are created using the Hourglass Pure Photo-luminescent Technology. Therefore, the powders can capture, diffuse and soften your surrounding light. The result is your skin looks softer and younger. There are two finishing powders in the palette. First, Dim Light is a soft, peachy beige shade with a translucent semi-matte finish. Second, Diffused Light is a pale yellow beige shade with a translucent matte finish. Euphoric Strobe is a highlighting strobe powder that has a semi-sheer shimmer finish. Filtered Bronze Light is a golden brown with a semi-opaque finish. Luminous Glow is a peach blush with a semi sheer shimmer finish. Also, Euphoric Fusion , a strobe blush, is a soft plum shade with a semi-sheer finish. Dim light should be dusted all over your face to finish your makeup application. Next, follow with Diffused Light Finishing Powder. Be sure to add it to the center of your face. As a result, it will cancel out redness. Also, it will brighten up your under eyes. Then, apply Filtered Bronze Light to your jawline, the hollows of your cheek and your temples. The reason for this is to define your face. Furthermore, use Luminous Glow to give the apples of your cheeks a healthy flush. Then, if you want more of a color pop, add Euphoric Blush. 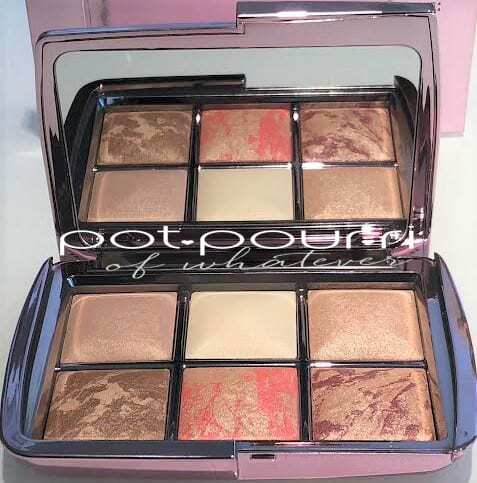 Finally, swipe Euphoric Strobe Light onto the tops of your cheekbones. Also, use the strobe light down the center of your nose. To finish your glow, put the strobe light on your Cupid’s bow. And, put the strobe light on your brow bones. Sometimes I like to put some above my nose, on my forehead. Also, I’ll dab some on the center of my chin. It’s up to you how much strobe you want. 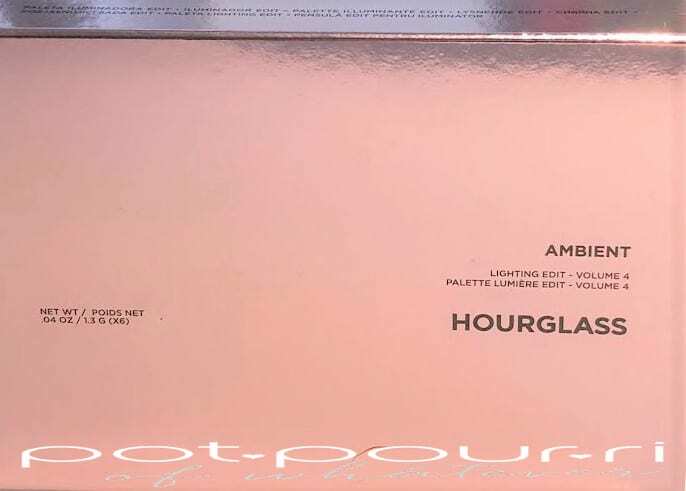 Hourglass Ambient Lighting Edit Volume 4 Last But Not Least….. Above all, Hourglass is a modern luxury brand. And, Complexion is their specialty. Therefore, they use ground breaking active ingredients to create surreal skin. In other words, they have invented a way to create lighting with powders. 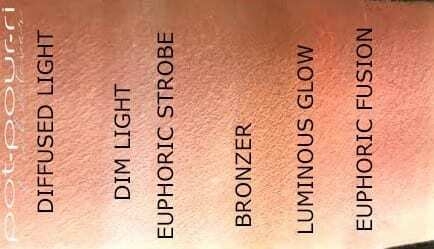 Dim light and Diffused light are two of their very best ambient lighting powders. It is unusual to find both of these powders in the same palette. Therefore, it is just one more reason to buy this palette for yourself. However, since we are about five weeks away from the big cheese, it would make a fabulous gift. For instance, you’d be giving your bestie their very own lighting! 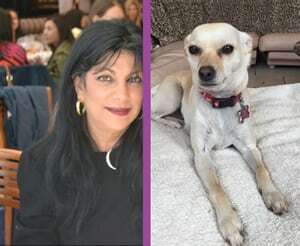 And, for me, the really a big deal is when our products give us exciting results, then we mare happy when we use them. In turn, when we are happy with the way we look, we feel more confident. And isn’t that what makeup is all about! That’s what I’ve been trying to tell you! So, what do you think about powders that give you a surreal complexion? It’s like you have your very own lighting man following you around! LOL Anywhooo, let me know what you think in the comments below! 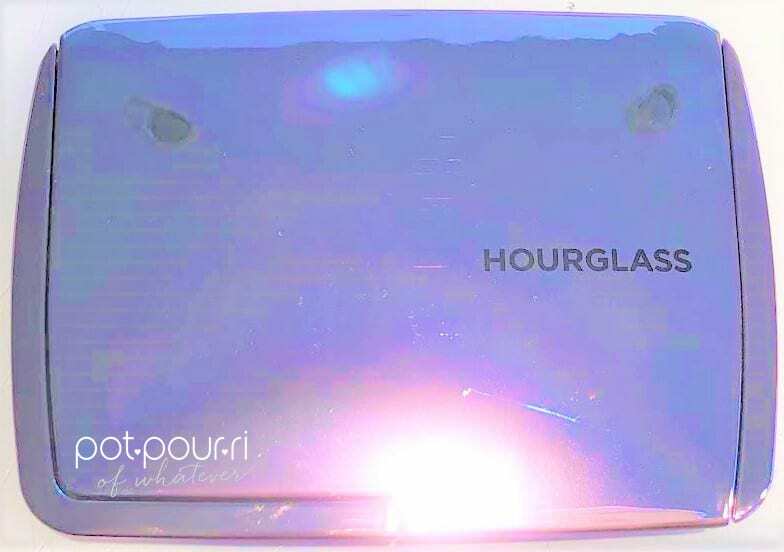 Another new lighting palette is Hourglass Ambient Lighting Edit Unlocked. Check it out here.